Welcome to Concierge Massage and Healing! Thank you for visiting my site. I AM UNABLE TO BOOK ANY APPOINTMENTS BEGINNING 9/10/18 DUE TO A FAMILY CONCERN. I DO NOT KNOW WHEN I WILL RETURN. I APOLOGIZE FOR THE INCONVENIENCE AND SINCERELY HOPE TO BE BACK SOON. 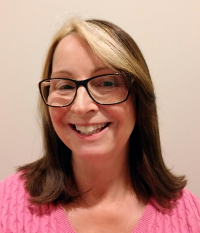 Perhaps you are are looking for a solution for your pain, health issue/concern, or you would like to experience a relaxing massage with a trusted, licensed and insured massage therapist. Whatever your reason, I invite you to take your time and read about the many different healing modalities. You will find my site interesting and informative. For your convenience, I offer online booking for appointments for Mondays and Fridays. Please call for all other days/evenings/weekends appointments. I am a Master Cranial Release Technique Practitioner, one of a few in the Metro East/St. Louis area. I have attended Master classes for certification renewal and am listed on the Cranial Release website. I am one of two Certified MyoKinesthetic System practitioners in the Metro East. I have attended the four day Master class in Kissimmee , Florida in 2016 and again in 2017, constantly honing my skills. I am excited to offer you the most up to date information. I offer a wide range of services, including dry cupping, CranioSacral Therapy (CST), Lymphatic Drainage Therapy, and Swedish massage. I am a Certified Kinesio Taping Practitioner (CKTP), having completed the required courses and passing a three-hour on-line exam. For your convenience, I sell Young Living Essential Oils and have many in stock for sale. I can also special order oils. I keep my massage room fragrance and scent free for your comfort. I have expanded into the use of CBD oil and CBD massage lotion during massage. CBD (cannabidiol) is a wonderful product which treats pain and anxiety. The product meets the national guidelines for less than 0.03% THC. I will not use CBD without your written consent. Many of my clients suffer from arthritis and they appreciate the use of CBD infused lotion and oil. You may benefit, too. I encourage you to call or text. I will be happy to help you formulate a plan for your health and wellness. You will benefit! You know that you are ready to heal-an appointment is just a phone call away! 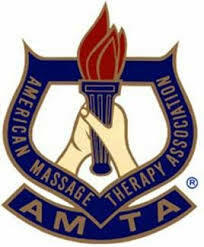 I am a member of the Illinois Massage Licensing Board, serving my second term. The board members are on the front line making sure that massage remains a safe, professional, and viable healing modality. Currently, the board is addressing the issue of human trafficking. I have helped to close down unlicensed massage businesses, many of them suspected of human trafficking violations. My website is totally accessible for the sight impaired, one of the few in the country. in officiating at the Unified level. Soccer Games in Chicago, 2018.